Are you searching for amazing deals on the best hotels? If yes, then you have come to the right place. At Kshibboleth Consultants, we are engaged in offering excellent hotel reservation services to the visitors across New Delhi (India). 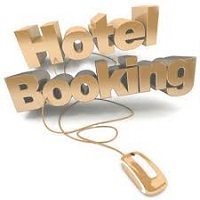 We are providing accommodation booking solutions for 5 star hotels, 3 star hotels, 2 star hotels, guest houses, luxury resorts, motels, and home stays. We ensure that the hotel provides advanced facilities and essential amenities before confirming your bookings for a room. So, feel free to call us anytime.